Phineas & Ferb: The Perry Files ~ A DVD Give Away! My kids are HUGE Phineas & Ferb fans. There isn't a lot that holds their attention for any period of time -but episodes of Phineas & Ferb do. Seven Episodes of TV’s #1 Animated Series* Featuring Perry the Platypus and the Dynamic Duo Phineas and Ferb Available June 5 on Disney DVD as an Exclusive 2-Disc Perry Activity Pack. While Phineas and Ferb do it all to make every day the best day ever, evil lurks just around the corner! But there is hope for the unsuspecting citizens of Danville. Now, for the very first time, crack open the top- secret archives of O.W.C.A. (Organization Without a Cool Acronym) to expose... THE PERRY FILES! I have a copy to give away to one lucky reader! 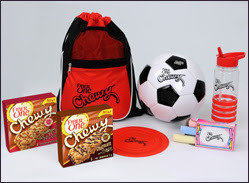 You can enter to win the prize pack shown above! Simply fill out the Rafflecopter give away below - Give away closes on Tuesday, June 5th! Fiber One Chewy - A MyBlogSpark Giveaway! 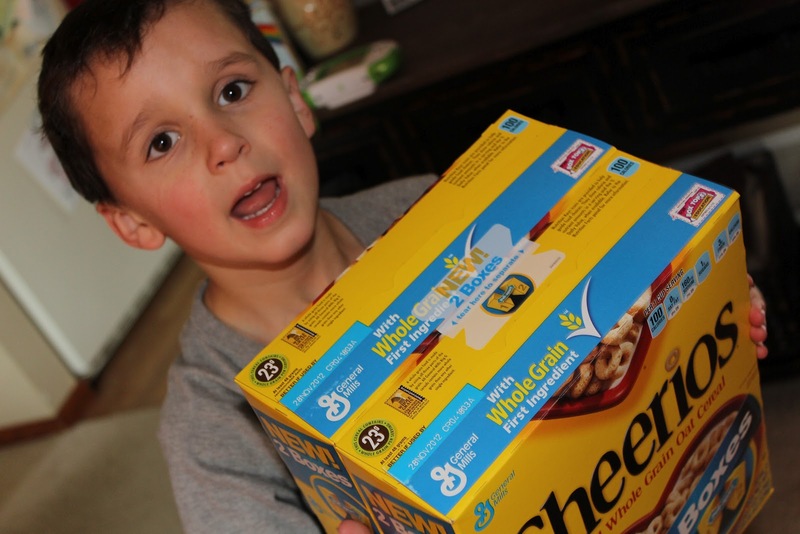 Being a busy family that is always running from here to there to the other place, I am constantly seeking out easy, take-with-in-the-car snacks to bring along with us, something on the healthier end of the scale, whenever possible. 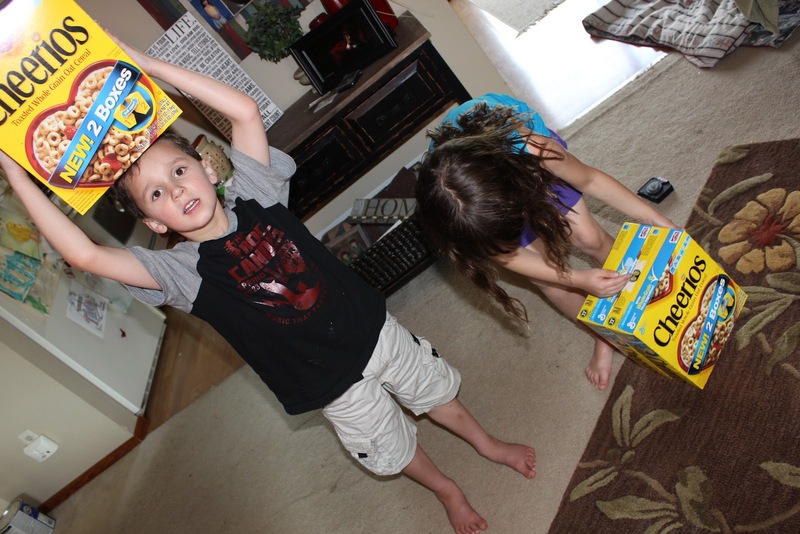 This is where new Fiber One® Chewy bars come in! 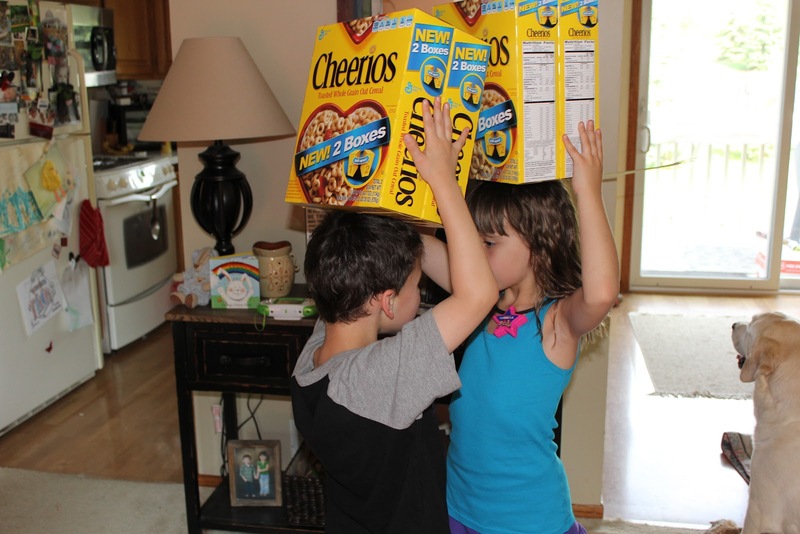 The perfect wholesome snack that the whole family will enjoy! Available in Chocolate and Strawberry PB&J varieties, these chewy bars are perfect for in-the-house, on-the-go, and everywhere in between. Complete with a peanut butter or chocolate bottom and yummy drizzle in every bite, kids won’t be able to resist the taste and parents won’t be able to resist the nutrition of this enjoyable snack. They are a sneaky alternative to the traditional candy bar in our house! There's a snack I feel good about feeding to my kiddos! 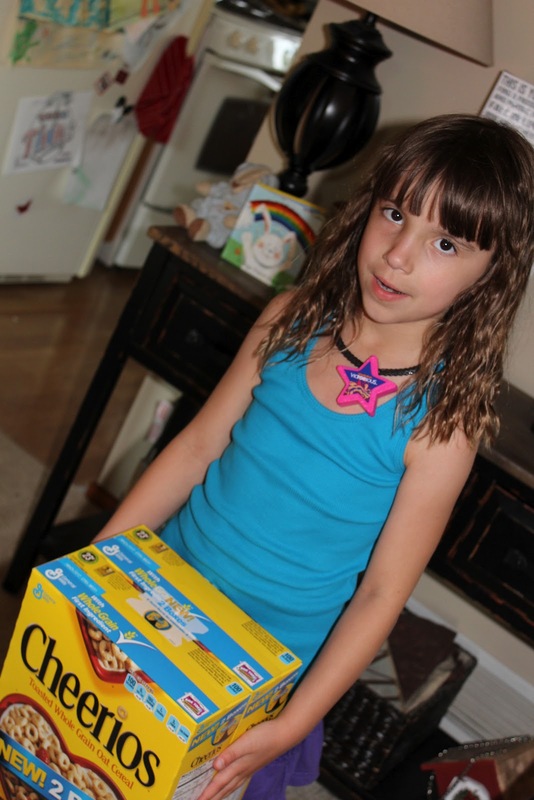 And now, thanks to the fine folks at General Mills & MyBlogSpark ~ I get to share these great snack bars with one lucky reader! Winning is easy - Just simply fill out one or more of the following rafflecopter entries below! 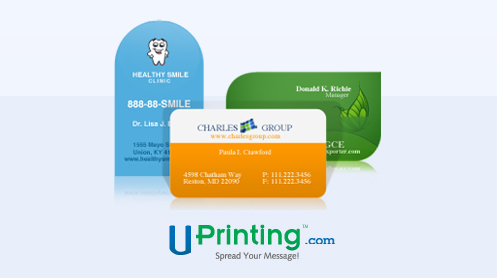 Uprinting Business Cards - A Give Away! Oh, how important I felt that day. A fresh, crisp box of business cards with MY name on them. That, my friends, was exciting! And official! BUT, my personal life does. One of my favorite things about our local blogger get togethers is seeing all of the amazing business cards that everyone has come up with! It's fun to give out business cards at these events and then hear from new friends that have kept the cards and then gone home to visit my blog, follow me on twitter or like my Facebook page! If you are anything like me, these cards can be a real life saver when you get home and are trying to remember who you just met a few hours earlier! Have you ever been at the playground (or off leash dog park!) thinking you've really connected with another parent there, wishing you had some way to leave your contact information without digging in your pocket for a scrap piece of paper or asking if someone might have a pen? That's another great thing business cards can be used for! Put your email and social media information on them, and pass them out when your kiddo wants to set up a playdate with a new friend! Thanks to the folks at UPrinting, I have a give away of 250 Die Cut Business Cards for one lucky reader! To enter this fabulous give away - Simply visit the Rafflecopter Widget Below! The first entry is mandatory - Visit the UPrinting Business Card Page and tell me what shape of business cards you might choose should you be the winner of this give away! And the rest, well, the rest of the options are up to you to choose as optional extra entries! Interested in holding a giveaway like this? 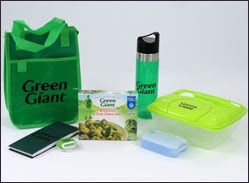 Green Giant & Weight Watchers - A Give Away! Whether you’re striving to watch your weight or simply helping your family to add more vegetables in their meals, with a little help from Green Giant® finding a delicious way to mix up your diet routine can be easy and convenient! Available in a wide variety of flavors, there are nearly 30 varieties of Green Giant® frozen boxed vegetables endorsed by Weight Watchers®, including offering that feature decadent sauces and tasty seasonings. Available in the frozen aisle of your local grocery store, Green Giant is the only frozen vegetable brand to be endorsed by Weight Watchers®, and nearly all endorsed varieties have a 1 or 2 PointsPlus® value per serving Click here to download quick and delicious recipes that incorporate Weight Watchers® endorsed Green Giant Boxed Vegetables, with most coming in between only a 1 and 4 Weight Watchers® PointsPlus® value per serving - from “Broccoli and Chicken Topped Potatoes” to “Quick Corn and Black Bean Soup,” this wide array is sure to satisfy every member of your family If you prefer a smaller serving size, try Green Giant Just for One vegetable trays which are also endorsed by Weight Watchers® Have you been to the Green Giant Recipe Page? I know I can always use some extra help figuring out ways to incorporate more veggies into our dinner routine! Download a printable coupon for $0.60 off the purchase of two boxes of Weight Watchers® endorsed Green Giant Boxed Vegetables & if your local grocery store doubles them like mine does - well then, you are saving .60 off each package that you buy! YAY! To enter the give away - Pick any or all of the following Rafflecopter give aways! Club Cheerios! Cheer on the Value! 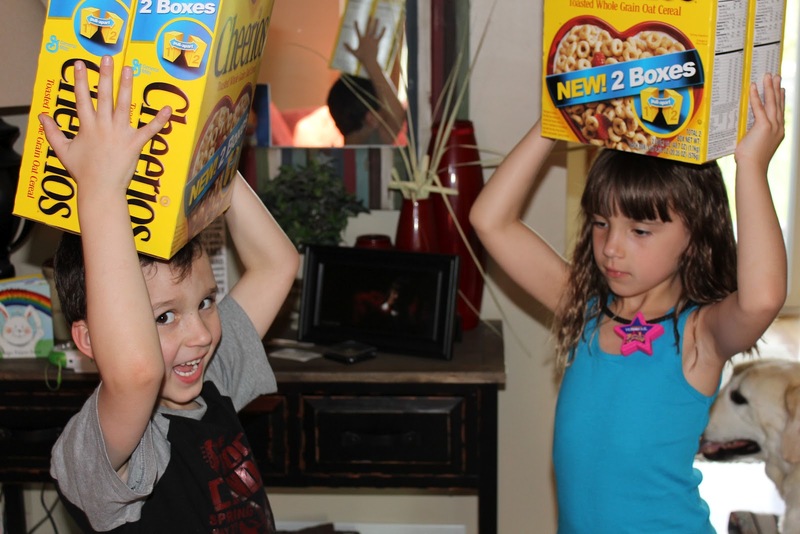 Busy families need to make the best of their time and their money - and one of these places where we strive to do both - is when we are grocery shopping. 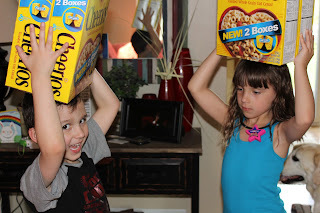 We do a lot of our grocery shopping at our local warehouse club...for convenience, cost, and well, bulk! I mean really, time is money right? 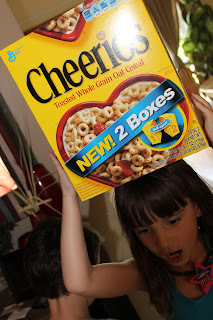 So why am I sharing CHEERIOS with you? Giant boxes of Cheerios? 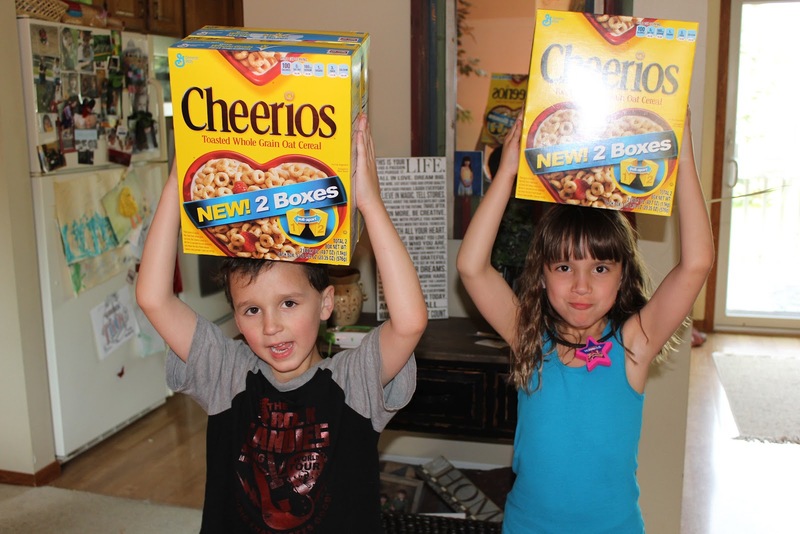 Well, these aren't just any boxes of Cheerios! And, what's even better than buying discounted in bulk from your local warehouse store? Well, how about FREE!?! 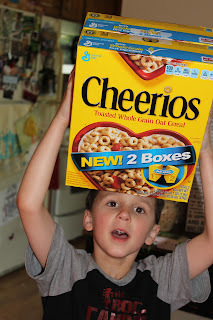 The great people from General Mills and MyBlogSpark are giving away 2 sets of 2 Club Boxes - which is 4 boxes of Cheerios to 2 lucky winners! To enter - Just pick any or all of the following Rafflecopter entries below!